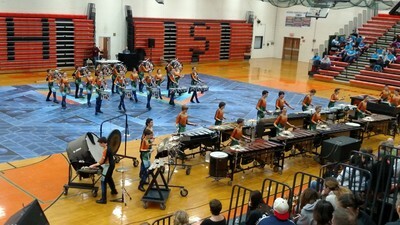 Indoor Percussion is either an indoor marching group with a battery and front ensemble(Pit) or a concert ensemble. It combines music performance, theater and sometimes marching. King Philip has had an indoor percussion team for many years. The program starts in late November or early December and the season ends in April. Each year a decision is made to determine if the group will march or standstill based on the needs of the students at that time. 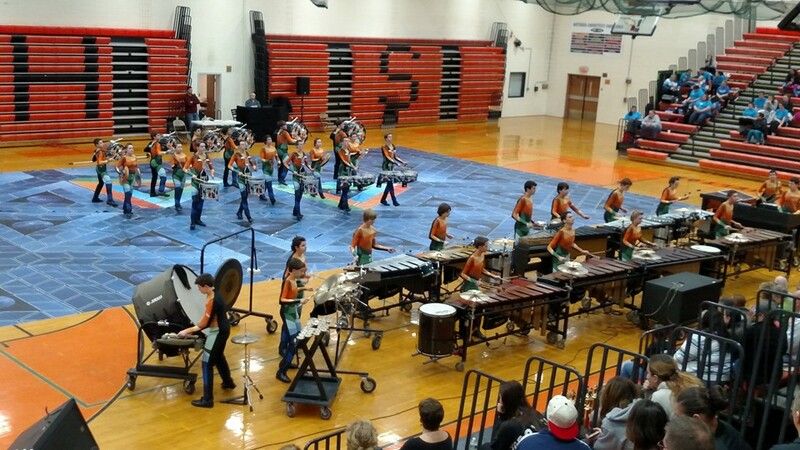 The 2017/18 indoor percussion ensemble will perform and compete in the concert class. Students will also be able to improve their drumline(battery skills) in a technique class. - Develop technical and musical skills on your instrument with your friends!!!! Rehearsals will be held on Tuesdays(6:30-8:30), Thursdays (6:30-8:30) and Saturdays (2-5) leading up to our competitive season. To those who would like to participate in both the Battery Techniques Class AND the Concert Percussion group, please note that these will both be meeting at the same time on Tuesdays and Thursdays. If you are participating in both groups, you will participate in the full Technique Class on Tuesday from 6:30-8:30. On Thursdays, Technique Class members will spend the first hour (6:30-7:30) in Tech Class and then join the Concert Group from 7:30-8:30. All participants are expected to be at every Saturday rehearsal in order to be fully prepared for our competition season. Saturday rehearsals during the competitive season will be announced as we get closer. Traditionally, King Philip fields a competitive marching percussion ensemble during the winter months, but for this season, all current and prospective percussion students will be offered a technique class that will meet two times per week. The main objective of the class is for percussion students to develop foundational skill sets and techniques that will help them to be successful in all future percussion ensembles. Technique classes will be offered to any percussion students (or those interested in percussion) in grades 7-12. Time/Location: Tuesdays and Thursdays, 6:30-8:30 pm at the High School (see calendar for specific dates). What to bring/wear: Binder with plastic sheet protectors, sticks/mallets, drum pad, athletic footwear, athletic clothing, and a water bottle. *It is highly encouraged that all percussion students who plan on participating in the percussion section of the King Philip Marching Band (Fall 2018) attend all classes. *If you know of any rehearsal conflicts, or if you are sick, please inform Chris via email as soon as reasonably possible.